We all know I have a weakness for handbags - fine handbags, all shapes all sizes. I have pretty much rounded out my little 'classics' collection (as seen in Exhibits A, B, C, & newly added D. and were are not talking about E) - they range in style and color. I feel like these will last me a lifetime and I plan on making them! Now of course I am a girl and I will always look, temp fate, call it what you will. But I will try to look more with my eyes than my pocketbook.....for at least a while! After all that mumbo look at what trouble I found while pursuing Bluefly over lunch yesterday....now I know I do not need, but you can't restrain dreaming! 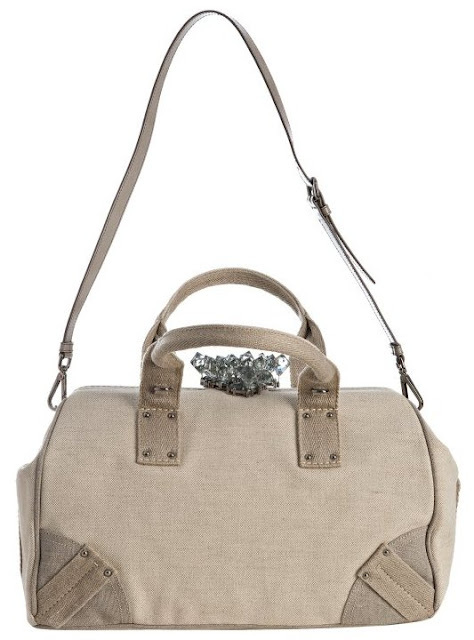 A total drool worthy Prada Handbag.....Hello adorned with a crystal cluster - sublime! Which led me to this little Rebecca Minkoff handbag! Mmmm so purdy!!! OH and I can't forget about this Marc by Marc Jacobs stunner!!!! But alas I am just looking (bc I am stocked up and soo happy with what I have! )...but I would totally vouch for any of you if you needed to get one of these... ;) I just realized they all have a long shoulder strap...hmmm. Weird coincidence me thinks.... Do you peruse Bluefly often like me....I love finding new items with discount, I am the worlds biggest window shopper/dreamer!!! PS - Happy Thursday....the shortest weeks are always the longest!!! Last day of work for the week for me! 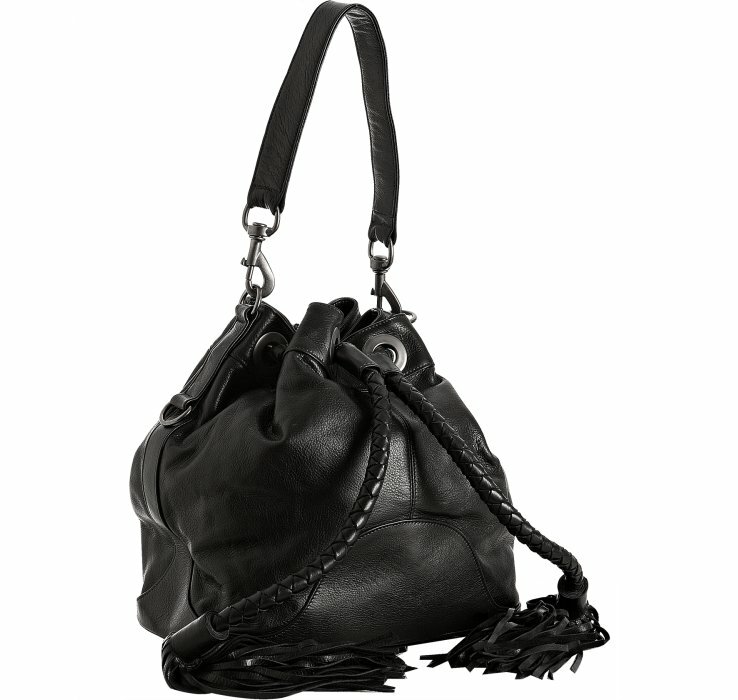 I love drooling over Bluefly's handbags and shoes. Over the past few years, I've decided to only invest in good bags and not waste money on throwaway ones. I'm loving my RM MAB and realized I haven't been carrying my little Burberry one enough. I love your pics, esp. the Prada bag. I LOVE the new addition to your family! The YSL Muse is such a beauty! Bluefly is great for purses and shoes! I think I am loving that last purse too. I am petite but I love big purses! You know I came to the realization that I do not own a single hand bag that is not pink. I'm a huge bag fanatic, I make it a point that I buy one piece of bag every week. This bags are beautiful. I want it!! Happy Thursday and Happy New Year! Fabulous bag finds! I'd be happy with all of them! Hope you have a wonderful little break! love that marc jacobs bag! Oh my.. 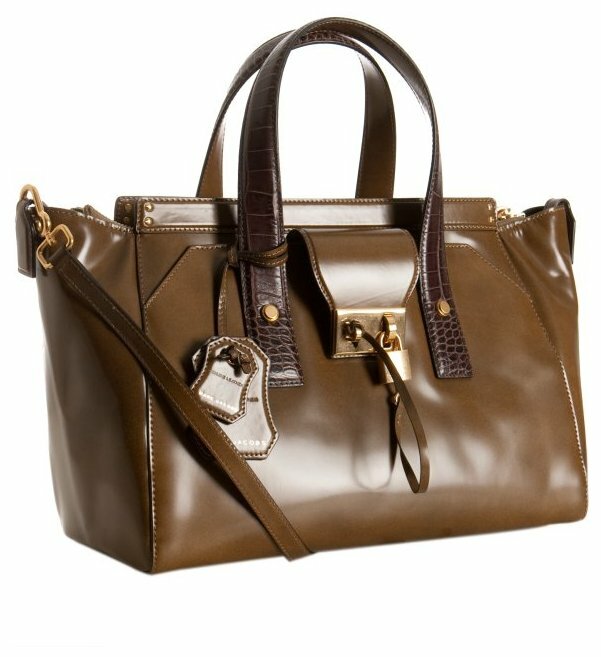 I love the Marc Jacobs bag! Great post! I have been on the hunt for a new bag FOREVER!!!! These pics inspire me! Love that I am now following your blog! Be sure to visit and check out my giveaway! You're speaking my language, sweetie! Love them all!!! Those are all gorgeous - especially the Prada!